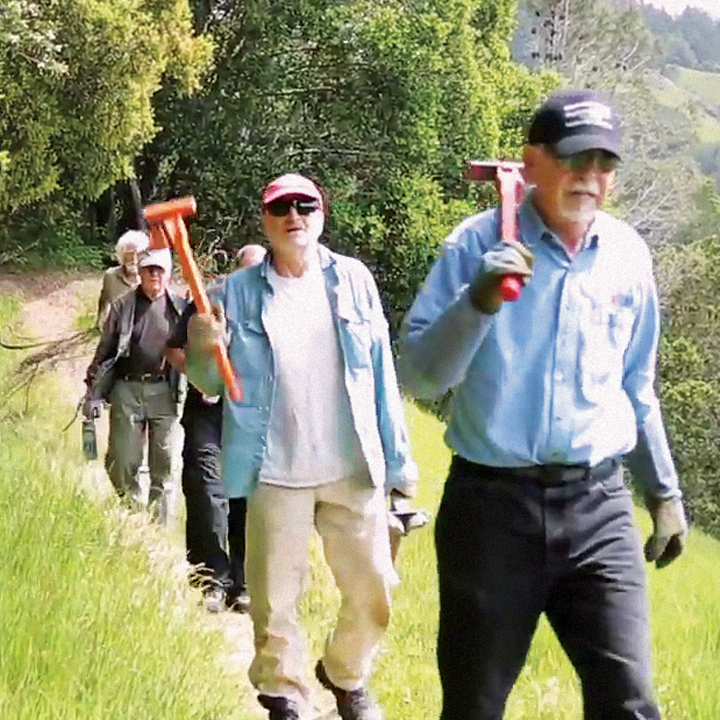 St. Hilary’s Open Space Preserve has a friend in the Broom Buster team, a loyal group of volunteers who have worked together to remove French broom on the preserve for over 20 years. In that time, incredible progress has been made to suppress the broom regrowth and allow native species to recover and thrive. Come learn about the importance of invasive species removal and lend a hand! All skill levels are welcome, and no previous experience is necessary. All ages are welcome; anyone under the age of 18 must be accompanied by a supervising adult. Dress in layers you can get dirty, wear sturdy shoes, and bring water. Please bring gloves if you have them. In the event of heavy rain and/or high winds call (415) 473-3778 to find out about event status. In the event of cancellation, program will be rescheduled. Directions: Meet at the gate at the end of Lyford Dr in Tiburon., From Hwy 101 in Mill Valley, take the exit for Tiburon Blvd (Hwy 131) east 3.5 miles. Turn left onto Lyford Dr and follow to the end (dead end).